I am currently writing this from my sick bed as I have been struck down with the dreaded, Noro Virus. Three weeks into the new job and I go and get myself a nice old dose of stomach flu - nice one abs. Hey ho, what can you do. In between the moans and groans I thought I'd at least try and be productive so here I am. HI! 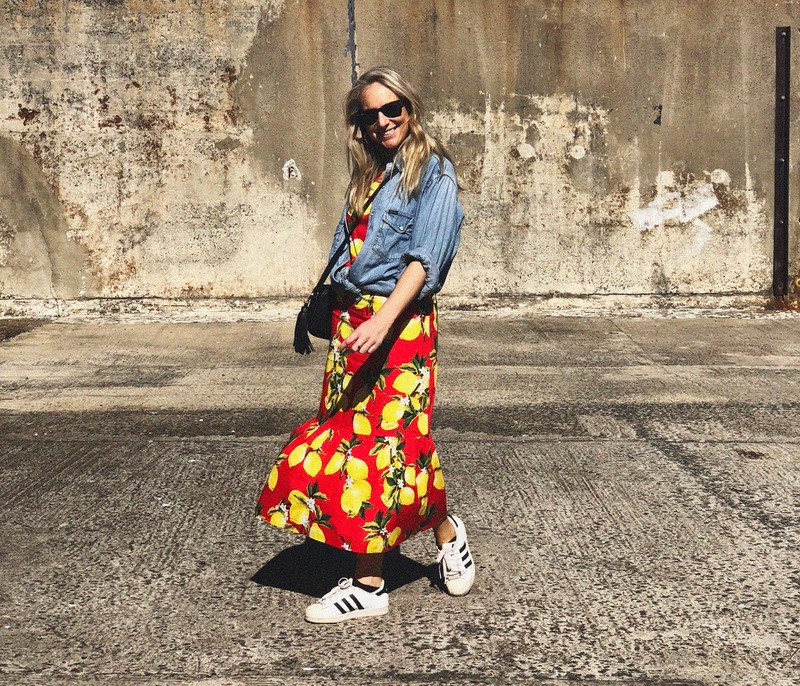 This zesty look was from last Sunday, we donned our tourist hats and visited Cockatoo Island - it's one of Sydney's largest islands and is a cut above the rest in terms of picnic locations. It was the perfect Sunday; munching on a packed lunch (god love a cheese and pickle roll) and taking in the iconic harbour views. Weekends spent exploring new places is definitely something I'm going to miss when I leave Sydney. Anyway, onto the outfit... 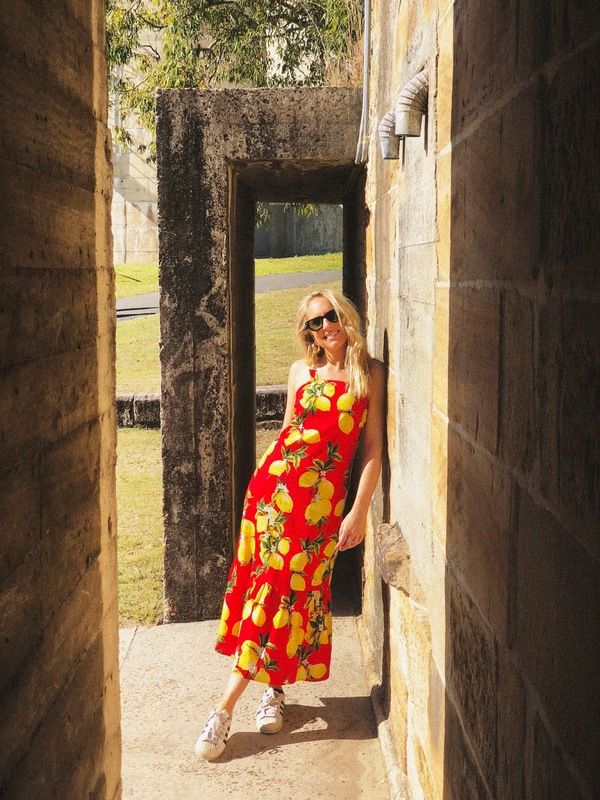 I bagged this cute little summer dress in Vinnie's, a chain of charity shops in Oz and although nothing can rival the British High Street and their chazza shops, Vinnie's have actually been a pretty good substitute for my thrifty shopping habits. 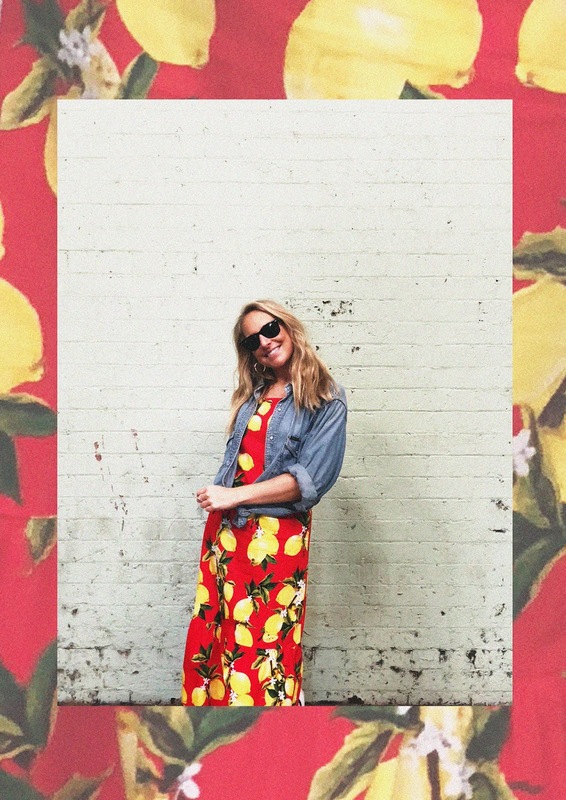 I knew I had to have this dress as soon as I saw it; I just loved the lemons, the fluted hem and tube-like fit. It's so bold on and I had a few people comment on where it was from - always a good feeling when someone asks after an item you bought for a total bargain. So thanks Vinnie's, you have kept the thrifting fire burning within me and not only sold me a fab dress, but a smile too.